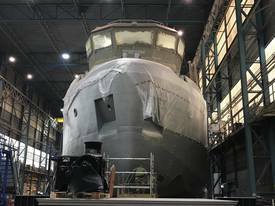 A boat designed specifically to accommodate delousing machinery is nearing the commissioning stage and is expected to see service in Scotland, as well as Norway. 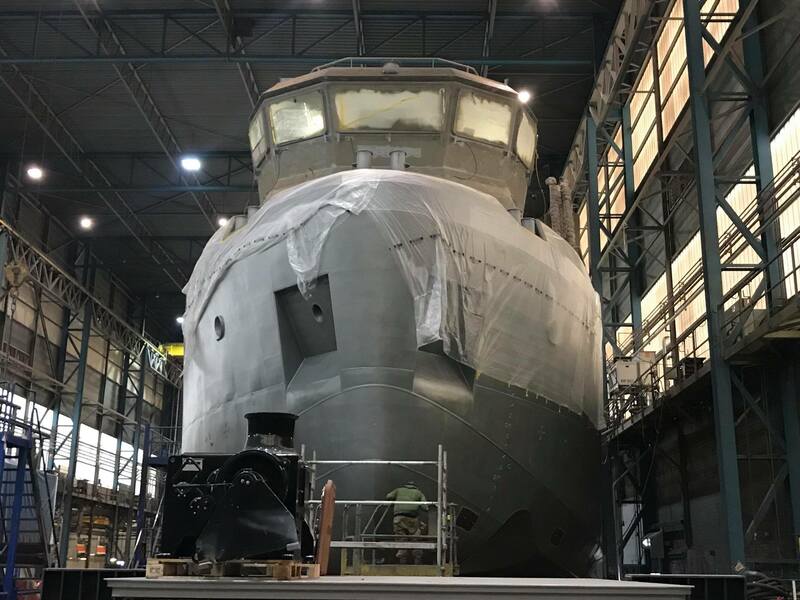 The vessel, called the Volt Processor, has been built in the Netherlands by the Damen shipyard and equipped in Norway with equipment from Optimar. The vessel is 499 gross tonnes and 43 metres long. 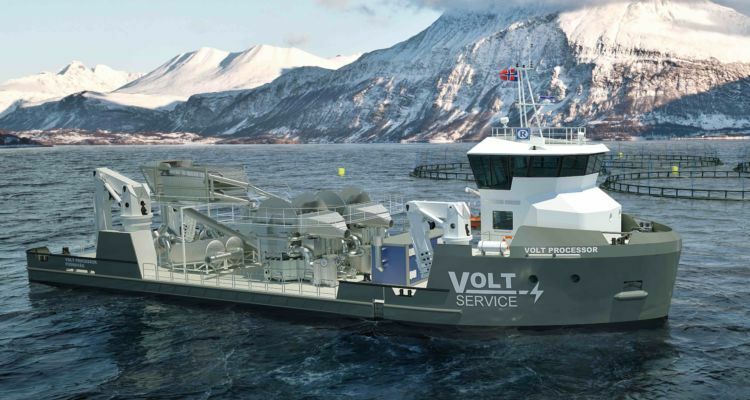 Robert Søviknes, operations manager for owner Volt Service AS, said the company was building this type of boat because it believes it has a good work platform where good mobility and fish welfare are taken care of in the best way possible when carrying out operations. The vessel will be equipped with two Optilice 4 XL delousers, diesel-electric propulsion, Volvo Penta machinery, large deck, low freeboard for easy access to the water line and cabin capacity for up to ten people. 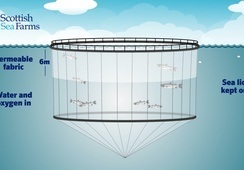 Delousing capacity is rated at 200 tonnes of fish per hour, but this depends on fish size and health status, and other factors. In addition, the vessel is equipped with automatic washing and ozone treatment. "The boat is built around the Optilicers. 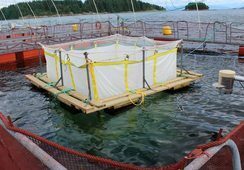 The delouser has a newly developed pump system that safeguards fish welfare in the best possible manner, and has a new filter for zero discharge of lice and to avoid reinfection of sea lice at the locality. We also have great space on deck so we minimise pipe bends," said skipper Øystein Henriksen. The vessel is scheduled for completion in April. Remøy Management is behind the project, has construction supervision, and will operate the vessel after delivery. It will operate along the entire west coast of Norway, and occasionally in the UK.